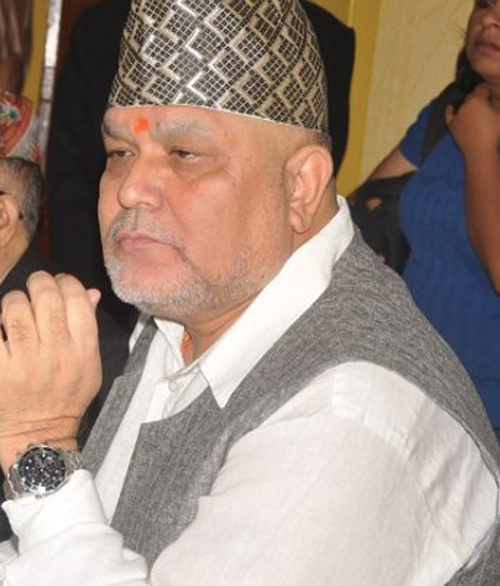 Nepal’s deadlocked politics appears to have left many things in limbo: the Constitution, elections, important bills in parliament, and last but not least, the impeachment of the suspended head of the Commission of the Investigation of Abuse of Authority (CIAA) Lokman Singh Karki. Parliament and the Supreme Court are playing cat and mouse over Karki: parliament on its impeachment motion, and the Supreme Court in a case questioning his qualification. Parliament would like the apex court to bell the cat, while the Court seems to be buying time so Parliament can settle the political package deal that involves his impeachment. In October, 157 members of parliament from the CPN-UML and Maoist Centre dramatically filed an impeachment motion against Karki after a secret political pact. At that time it was believed that the first-of-its-kind impeachment motion would be discussed in Parliament soon enough. There were some perfunctory sessions in the House, but they fizzled out as the politics got ensnared in a dispute over the Constitution amendment. Proceedings have been stalled for a month with the UML disruption. But even if Karki has only been suspended, and even if he continues to occupy his official residence and appears to still enjoy the benefits of his position, the politicians did overcome the dread with which they regarded him to file for impeachment. It was to save their own political skin because the man was getting too powerful and was directly challenging their authority. Still, Karki has been defanged and he cannot file or investigate any corruption case. So they feel safe enough, but they do not want to go all the way by pursuing the impeachment motion. Meanwhile, the Supreme Court has started its hearings of the case questioning his qualification for the post of CIAA Chief. The Supreme Court’s justices intentionally or unintentionally try to halt hearings on the most contentious issues as happened with the former Army Chief Gen Rookmangud Katuwal and the former Prime Minister Khilraj Regmi. The Supreme Court scrapped both writs, saying the issues raised were of no consequence anymore, giving a verdict only when Katawal retired and Regmi handed over prime ministership to Sushil Koirala. By nature, Supreme Court justices are required to be neutral and give their opinion only through verdicts. But in some politically motivated case, justices have preferred to keep mum. Karki’s case has grabbed the attention of not only politicians and bureaucrats, but the whole spectrum of Nepali society. The justices are fully aware of Karki’s reputation for using fear, intimidation, threats and money to silence opponents. There was speculation that the Supreme Court would defer the case, or take its own sweet time. On the contrary, it started and continued the hearings even though Karki’s lawyers tried to prolong it constantly. The justices have now said they will not tolerate any more delays. Both sides have brought in the big guns, phalanxes of lawyers with formidable reputations. The justices have warned them not to duplicate or prolong their depositions. Chief Justice Sushila Karki seems determined to get this case over and done with against a man who had repeatedly tried to influence the court, and despite more attempts to delay it, had resumed the hearings till press time on Thursday. Karki has been issuing veiled threats through statements trying to influence the case through his personal website and Facebook. Just before the hearing of the supplementary writ petition challenging his qualification started last week, he made an appeal through his personal website saying all allegations against him were baseless and motivated. Even though the impeachment motion and the case against him are underway in parliament and Supreme Court, Karki could get a clean chit or be convicted. It is the same politicians who brought him in three years ago who now want him out. His actions during his tenure show that he has no regard for the essence of the rule of law. His statement is already a blatant violation of the principle of sub judice and an insult to the dignity of Court. Karki’s lawyers should now focus on defending their client’s case than trying to influence or postpone the hearing. And with parliament showing signs of cold feet, it is now up to the Supreme Court to finally rule on a case that has badly bruised and weakened the Nepali state.